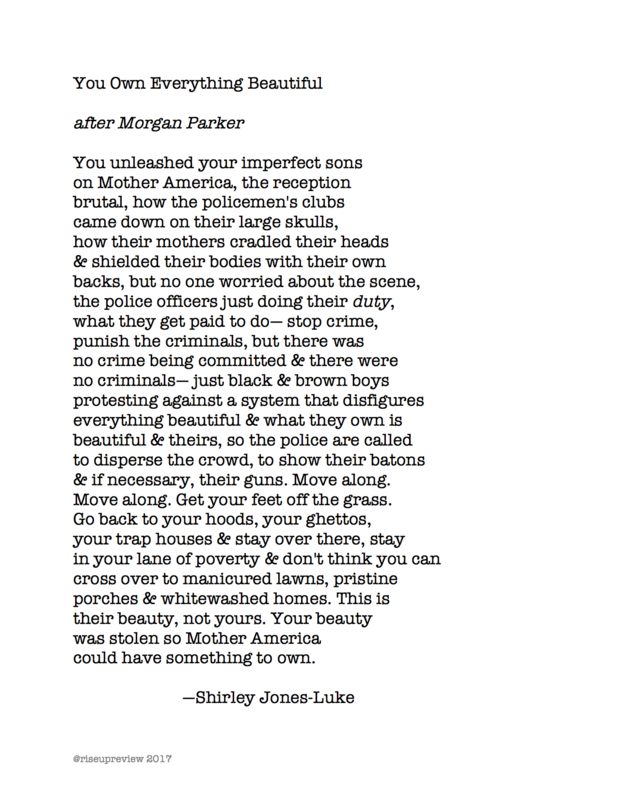 Shirley Jones-Luke is a poet and writer. Ms. Luke works as an English teacher for the Boston Public Schools. She has an MA in English and an MFA in Creative Writing. Ms. Luke was a 2016 Watering Hole Poetry Fellow. Her work has been published in Adelaide, Damfino, Deluge, ENUF and Fire Poetry.